Whether this is your first year, or you are a veteran mom--back to school time management can be just plain HARD! I’m not sure if you can relate, but I honestly don’t remember the last time we were early for something–and we are lucky when we are on time. It’s important to remember that we parents are all in this together, and we can learn something from each other. 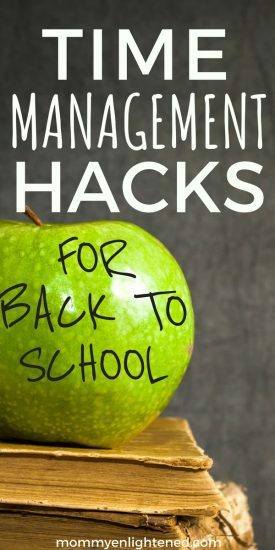 We wanted to collaborate with other brilliant moms to compile a list of back to school time management hacks to (hopefully) help your mornings get off to a good start. Because these tips are all taken from different parent’s, some of them will be a bit similar. Keep in mind, sometimes tweaking what you are doing just a little is all that’s needed to make your mornings go more smoothly. Pack what you can into the car the night before. Not only will this help you NOT forget something important, but it’s also going to make getting out the door happen much quicker in the morning. To help your child keep their water bottle cold for lunchtime, fill it halfway with water and place it on its side in the freezer overnight, then fill the rest with tap water in the morning. “The night before, put lunch bags out in the kitchen and backpacks by the door after making sure all school books, papers, permission forms, etc are tucked inside. In the morning, fill lunch bags, and have everyone put their lunch into their backpack as part of the getting out of the house routine. “I get as much of the week’s work done in one sitting. Like for example, I’d make the kids pick out five outfits for the entire week. I’d make sure all paperwork is signed and put in their backpacks. If your mornings are well planned out, hopefully, they will go quickly and smoothly. Understand that without careful planning, it’s going to be very difficult to get to nine AM with everyone in a good mood, so keep the mornings as easy as possible. If you need your child to remember something you told them, tear off a skinny piece of paper and tape it around their wrist. Write your note on the inside of the paper. Keep your child’s lunchboxes next to shoes so your kids don’t forget them going out the door. Making breakfast and lunch can be two of the most time-consuming tasks you will complete before school. Find a resource with fast and easy freezer-friendly meals so you can prepare in advance. Preparation is key. Make a large number of breakfast sandwiches at once by baking the eggs in a greased muffin tin. Cook the eggs for 10-15 minutes at 350 degrees and then build your sandwich with English muffins and cheese. You can freeze these and heat them up for later too! You can still enjoy a nice breakfast without a ton of mess. Make pancake mix on Sunday and store servings in Ziploc bags in the fridge. Remember that pancake batter will expand, so don’t overfill the bags. When it’s time to cook the pancakes, cut a hole in the corner of the bag and squeeze! “I have a Saturday or Sunday prep time, and I make ahead breakfasts and sandwiches. I make a sweet and a savory breakfast option (like breakfast sandwiches, breakfast casserole, French toast casserole, pancakes, or a better quality frozen waffles ) and I have it to pull out during the week. It makes breakfast healthy and quick. Sometimes I also scramble extra eggs and heat it up in the morning and just give toast and fruit. Of course, we eat cereal and oatmeal sometimes too, but I couldn’t do it without having premade breakfast. “A personal morning routine and know exactly how much time I need for me and my family in the morning. I also believe in meal prepping on Sunday afternoons. I prep all of my lunches for the week along with making healthy breakfast options and suppers. “Every Saturday when the groceries arrive I baggy them up into portions and put a portion in a pot for each day of the week. One baggy has fruit and vegetables. There is also a pot with dairy, so something like a cheese string or yogurt tube. Affix a command hook to a wall in the corner so your kids have a backpack nook to put their stuff down when they get home from school. Consider using accordion style folders instead of regular bulky binders. These will take up less room, and your child can keep everything in the same place. Start a planner for each of your kids. 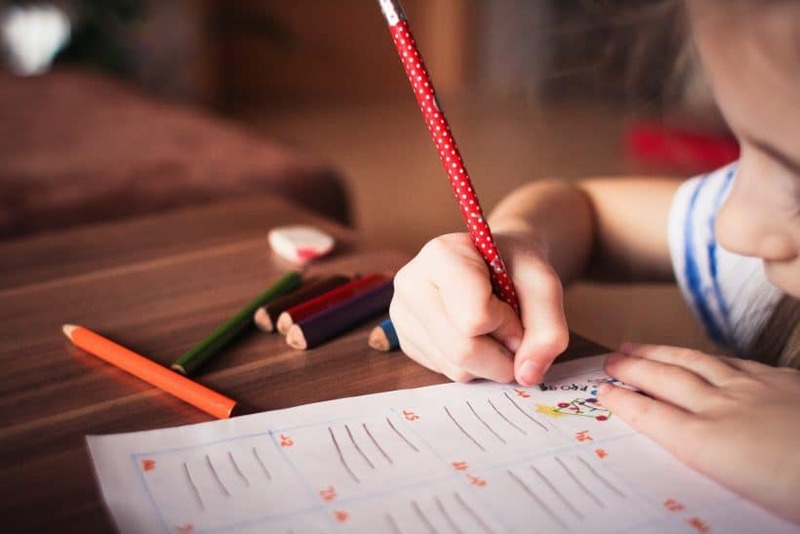 If they are old enough, have them write in the planner consistently so they can keep track of any assignments due, or any important papers that need to be returned. 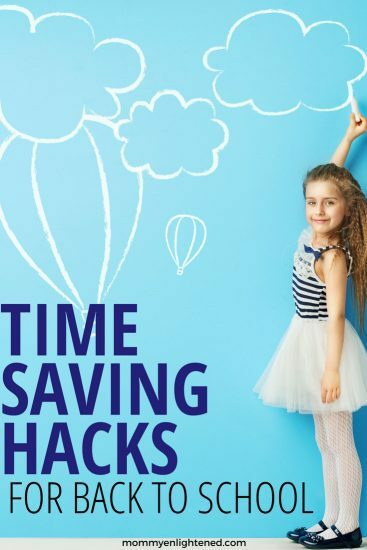 What time management hacks have YOU found help your family? I would love to hear your thoughts in the comments below.